Get all the URLs into a room! The Internet of Things may eventually enter the vocabulary of Members of Parliament (MPs). But as Dr Julian Huppert, MP, pointed out, the eyes of MPs glaze over at the mention of digital technology. He was not joking when he said that in the debate about child protection, there was a call to get all the URLs into a room for a meeting. The use of acronyms adds to the confusion when they could have alternative meanings. When discussing the protection of IP addresses, an MP can be forgiven for thinking it is about the protection of Intellectual Property addresses. 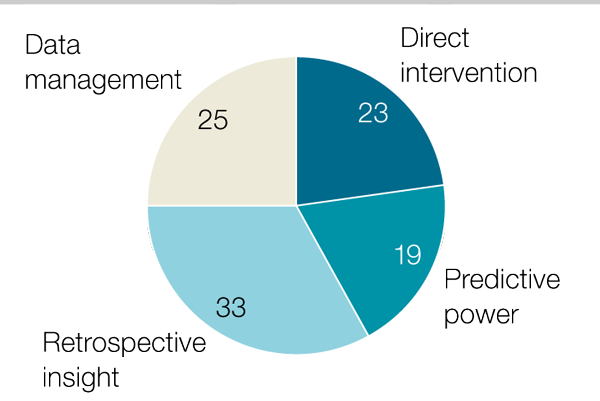 Predictive Monitoring: Heart Attack and Stroke? Machine learning via neural networks produces impressive results. 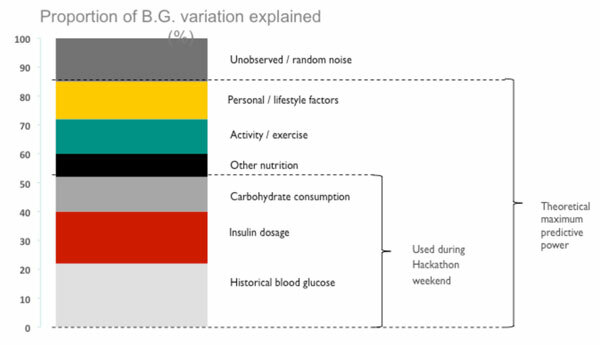 The Blood Glucose prediction hackathon used three data streams: historical blood glucose, insulin dosage and carbohydrate consumption. This explains approximately 50% of the prediction. Adding three more streams would increase this to 85%; other nutrition, activity and other lifestyle factors. All these could be simply collected from mobile devices and used in other health prediction applications. It shows the value of monitoring data streams for multiple purposes. This data could also be analysed alongside logs of blood pressure and heart rhythms. Just think of the value to people who are at risk of heart attack or stroke. Real-time predictions of heart rate and blood pressure could set alarms that would moderate a person’s behaviour. An impertinent machine telling you to Stop driving!, sit down! or have a rest! may upset your plans – but it is better than risking your own or another life. Machine learning is not rule based – it calculates the rules. IOT: Where do you start? 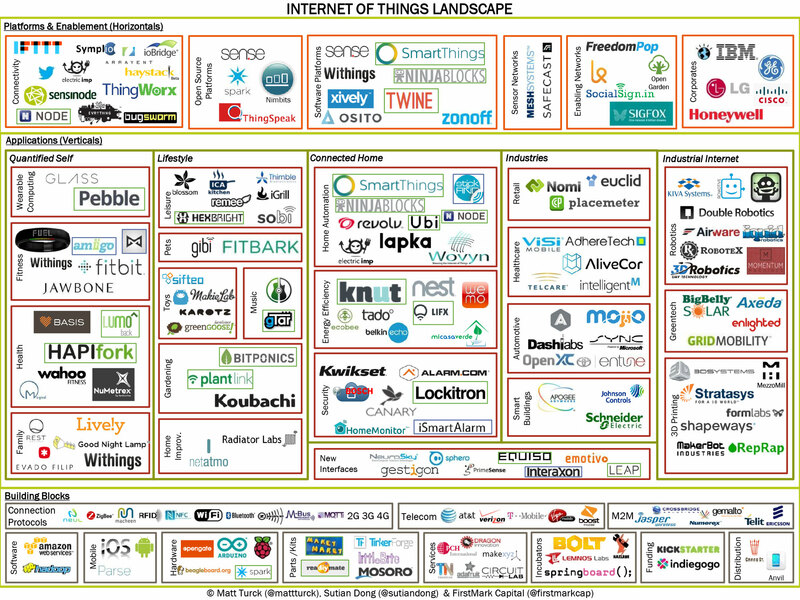 The Internet of Things now has so many players. Companies trying to rise to the top in horizontal and vertical markets. This Techcrunch article attempts to make sense of them. Emerging industry has so many innovative start-ups, all seeking to become market leaders. However, don’t be surprised if the oligopolies win in the end – by internal investment or purchase of smaller companies. Where does anybody start if they want to develop an idea through proof of concept to a sustainable business? Apologies if this image blows the size of your browser screen. It works OK on Opera with ‘fit to width’. Otherwise look up the original Techcrunch article.